Hearts head coach Robbie Neilson has urged his players to cut out the “silly things” if they have reason to celebrate scoring a derby goal after Sam Nicholson’s antics against Hibs last week. 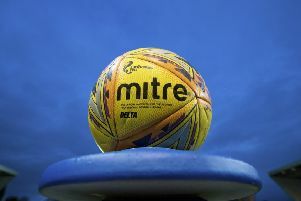 The teams meet again in tonight’s William Hill Scottish Cup fifth round replay at Easter Road and Neilson is desperate to avoid a situation where a player ends up being suspended because of something so needless. Hearts are without skipper Alim Ozturk, who has already picked up two bookings in the competition, while Nicholson knows he can ill-afford to step out of line. The winger picked up a yellow card at Tynecastle when provoking Hibs fans with a suggestive celebration that disappointed Neilson. “Players score goals in football and do silly things,” said the head coach. “It’s part of football but we want them to keep their discipline and try not to get booked because Sam got booked in the cup game. “If you pick up two bookings then you miss the next round,” he pointed out. “If we get to the semi-final and Sam gets booked then it would come back to haunt him and he would miss the final if we got there. “You hope they don’t do silly things. I get things chanted at me – it’s part and parcel of football. If you’re at a big club people shout at you. You have to accept it and silence them by scoring goals. “I say that to all my players, they all know that,” added Neilson. Hibernian head coach Alan Stubbs, meanwhile, has told supporters of both sides to expect “another cracker” after the 2-2 draw in the first game nine days ago, when Hibs came back from 2-0 down. Easter Road will be full to capacity after a Uefa ban on the game being televised at the same time as Champions League fixtures. The fans have responded by selling out the ground. “It’s great to think that on a Tuesday night, when times are not easy, you have people rushing home from work tomorrow, and come 7.45pm there are over 20,000 people in the stadium,” said Stubbs. “That’s fantastic but it does not surprise me one bit, with the fans we have.